Vegan Red Lentil Spinach Soup is a hearty and comforting soup that has been a staple in my home for years. Super creamy without anything dairy and amazingly flavoursome. I love to use lentils as the main ingredient in soups when I want to make a healthy veggie soup. 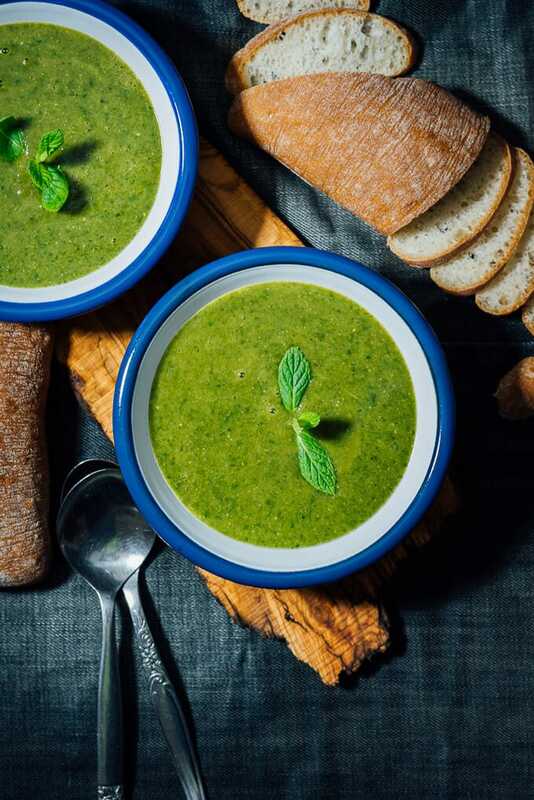 This lovely green soup sounds like a different version of Lentil and Spinach Soup, which is a pretty filling soup on its own. They are different though. This creamy spinach soup is a combination of red lentils and spinach leaves. I’ve searched for spinach soup recipes before writing this post to see how others are making spinach soups. To my surprise, nobody has ever combined these two. The world is missing A LOT! This red lentil and spinach soup is so good that everyone in your family will crave for more. It’s ludicrously easy to make this soup. Saute onion, garlic and spices with olive oil and then just bring all the ingredients to boil. Let it simmer until all flavors combine well. And then blend until creamy and smooth. This is a creamy soup without any cream. Thanks to the red lentils! The spices I use in this soup are not optional. They make the soup that scrumptious, so trust me and don’t leave any of them out. 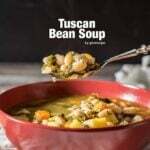 If you are after healthy soup recipes that your whole family will love, you won’t need to search for it any longer. This creamy greeny soup does the trick. Try it even if nobody in your family is vegan. Full of vitamin C, protein and fiber. Are all these for vegans only? No way. You will even start to accept that vegan recipes could be crazy good as well. No need for fancy toppings for this soup. It really doesn’t need it. The only thing you need is a squeeze of lemon juice when serving. A hearty vegan soup with red lentils, spinach and spices. Saute onion and garlic with olive oil in a large pan over low heat until slightly golden- about 3-4 minutes. Stir in the paprika, cumin, black pepper and dried mint. Cook for one minute, stirring occasionally. Add in the salt, lentils, spinach, water and lemon juice. Cook until everything is mushy, for 30 minutes. Use a hand blender and blend until smooth. Stir and simmer for 2-3 minutes and remove from the heat. 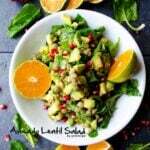 Serve with extra lemon juice and optionally with mint sprigs. Hi, do you have to use whole red lentils or do split red lentils work too? I omitted the mint as I’m not keen (also cooked this quite late at night and supermarkets were already closed), but still very good! Thanks for the recipe! So happy to hear that you love it Tyas! I made this recipe. It seemed like it could be an interesting new variation on the Turkish lentil soup that I love so much. I did add two more things than you suggested in your recipe which made it super delicious- 1 tsp of cut ginger and half a vegan stock cube. It was a lovely warming addition to an otherwise cold grey winter Istanbul day 🙂 Thanks. I made it without the cumin as it is not a favourite of ours! It worked out great!! Made it once with vegetable broth and the second time with chicken broth instead of water. The kids love the “green soup”. Thank you for a great recipe! Hey, just a question: does it really turn out so green? I know that spinach has this effect but I wonder how do they “kill” the yellow/orange lentil colour? I want my soup to be really hearty yet green! Hi Emilia! Yes, it turns out that green. Lentils lose their bright color and easily adapt the color of spinach. Love this effect of spinach! You’re right, I have never thought of combining the two either. I will keep this in mind, it looks so good!